Foothills CrawlSpace, LLC specializes in crawl space repair, mold prevention and crawl space moisture control in North and South Carolina. Our company is the area's certified CleanSpace dealer for Basement Systems Inc., and is locally owned and operated by people who are familiar with the area. We offer FREE written service estimates for homeowners in Western North Carolina and Upstate South Carolina and surrounding towns. As members of the Basement Systems international network, we are part of the largest network of basement waterproofing and crawl space repair contractors in the world! With over 300 dealers in the USA, Canada, and the UK, Basement Systems dealers have the knowledge, experience, patented products, and best practices you need to dry your crawl space and keep it dry all the time! Crawl Space RepairWe offer complete encapsulation & repair services for your home's crawl spaces. 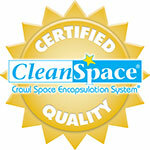 Crawl Space EncapsulationLearn why more homeowners choose our patented CleanSpace system. Crawl Space DehumidificationEliminate mold growth and rot from your crawl space with a dehumidifier. Crawl Space InsulationImprove your home's comfort with our exclusive waterproof insulation products. At Foothills CrawlSpace, LLC, we offer our customers nothing but the highest quality in crawl space repair products and services. Our team has been extensively trained to understand and repair any type of crawl space issue. We specialize in diagnosing and fixing all sorts of crawl space related problems. Crawl spaces are one of the most neglected areas of the home, and because of this, our goal is to not only improve yours, but make sure it never causes you problems again. 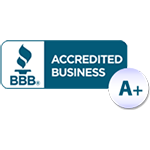 As an authorized Basement Systems dealer, it is easy to see why homeowners trust Foothills CrawlSpace, LLC for all of their crawl space repair needs. If your home's crawl space is causing you issues, contact us today for a FREE consultation! We serve homeowners in Western North Carolina and Upstate South Carolina, and surrounding towns in North and South Carolina. "very professional; they company used quality materials and..."
"Quality service, very professional, great outcome!" Since 2000, Foothills CrawlSpace, LLC has helped homeowners all over the Carolinas fix their crawl space issues. Our customers have been pleased with the crawl space repair services we provide, and have noticed immediate results. As the preferred crawl space repair contractor of the Carolinas, we take pride in knowing that what we do helps create a better home for you and your family. Our team of specialists have the skills and expertise to improve any crawl space issue. We provide our customers with a wide range of services including crawl space sealing, encapsulation, and insulation, mold prevention, dehumidification, structural repair, and much more. Whether your home is facing mold, mildew, or even cold floors above your crawl space, contact us today for a FREE quote.